“Break It to Me Gently” is a song written by Carole Bayer Sager and Marvin Hamlisch which was an R&B hit for Aretha Franklin in 1977. 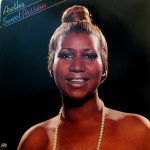 Released from the Sweet Passion album, it reached Number 1 on the Hot Soul Singles chart in June 1977. The song’s success was only faintly reflected on the Billboard Hot 100 with a Number 85 peak, before dropping out of the Hot 100 after two weeks. 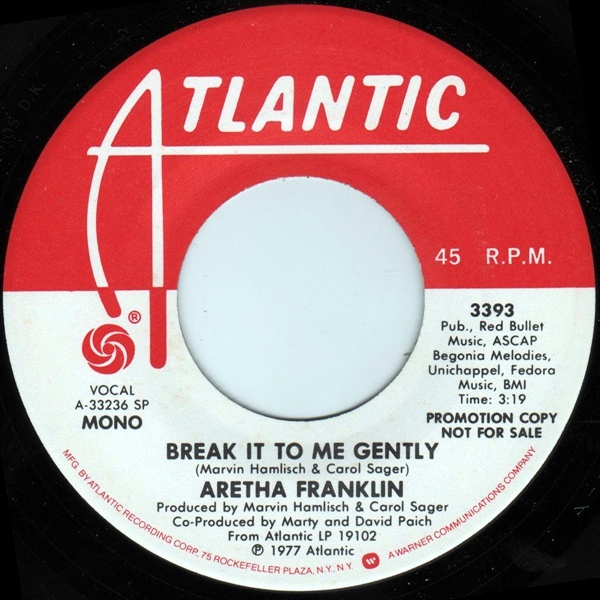 “Break It to Me Gently” would be Franklin’s final Atlantic single to appear on the Hot 100 from which she would be absent until 1980.